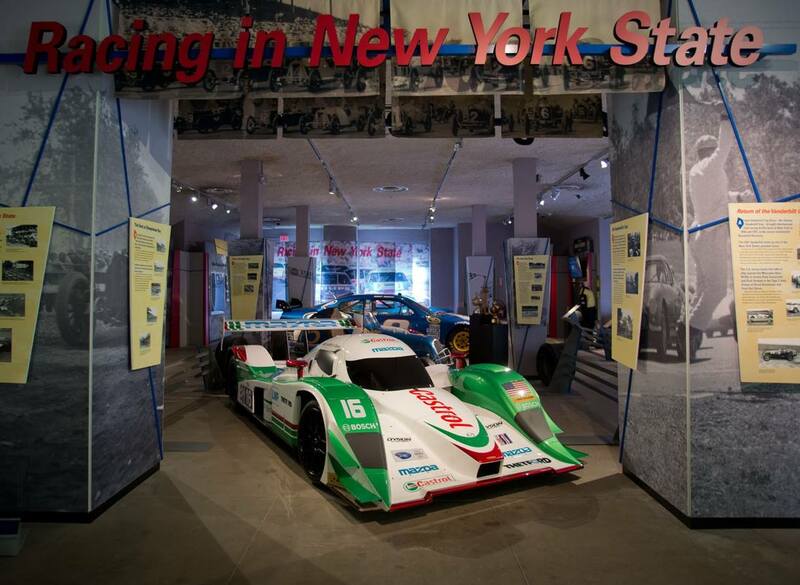 POUGHKEEPSIE NY (September 23, 2014) – After joining the Pirelli World Challenge mid-way through the 2014 season Dyson Racing Team Bentley made rapid progress, culminating earlier this month with a race victory in the series final weekend at Miller Motorsport Park. That legend has continued to grow over the past nine decades and was enhanced this year with Dyson Racing Team Bentley’s record in the Pirelli World Challenge. Dyson Racing Team Bentley’s pair of Continental GT3 race cars showed good speed from the start, with Butch Leitzinger setting second-fastest race lap during the team’s debut at the Road America race weekend in June. Guy Smith, who drove a second car for the last two race weekends on the schedule started on the pole and also set fastest lap in three of the four races he contested. In addition to Smith’s race win, Leitzinger had a pair of podium finishes. The team started its race program half-way through the season, starting at Road America in Wisconsin in June. 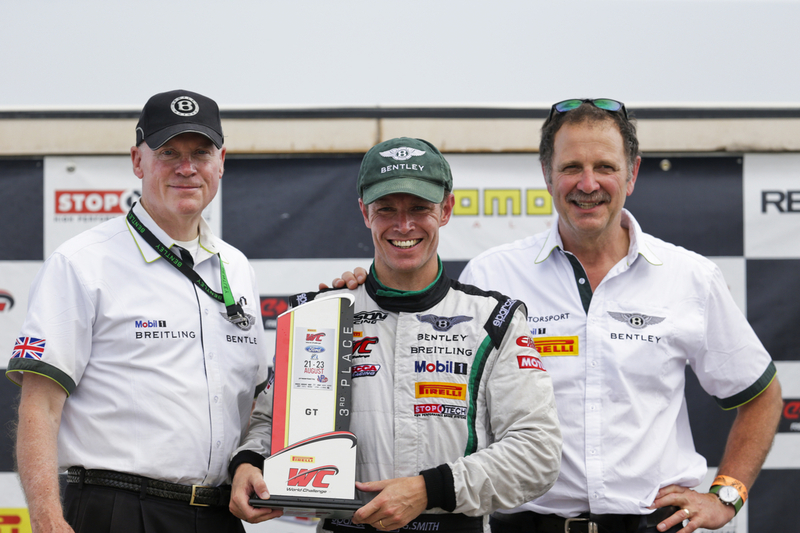 At Sonoma Raceway in California in August, Leitzinger took the first Bentley podium and Guy Smith joined the team in the second car. Smith left the Sonoma weekend with two fastest race laps to his credit and at the following race at Miller Motorsports Park, in addition to his win, he started from pole for both races, and Leitzinger took his second consecutive podium. Even with a partial season, at year’s end, Smith was tied for first in driver’s fastest race laps and Bentley was second in manufacturer’s fast laps, and third in manufacturer’s poles. 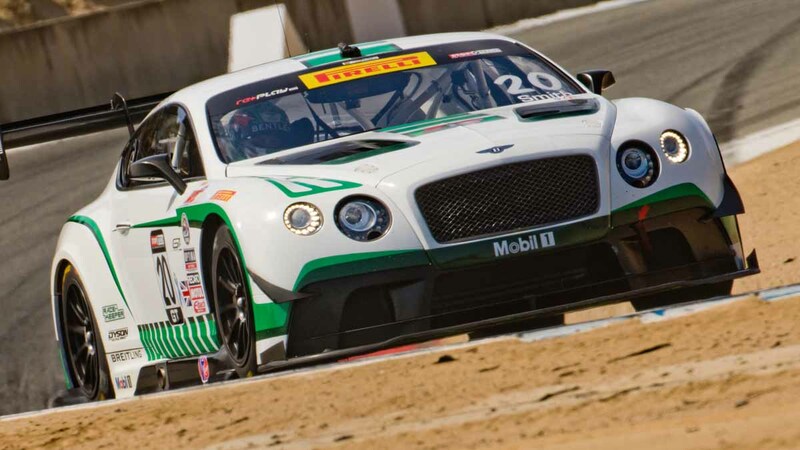 The victory at Miller Motorsports Park opened a new chapter in Bentley’s storied history, the marque’s first win in North America, while the team’s consistent speed during it’s exploratory PWC half season presaged a very competitive stance for 2015. 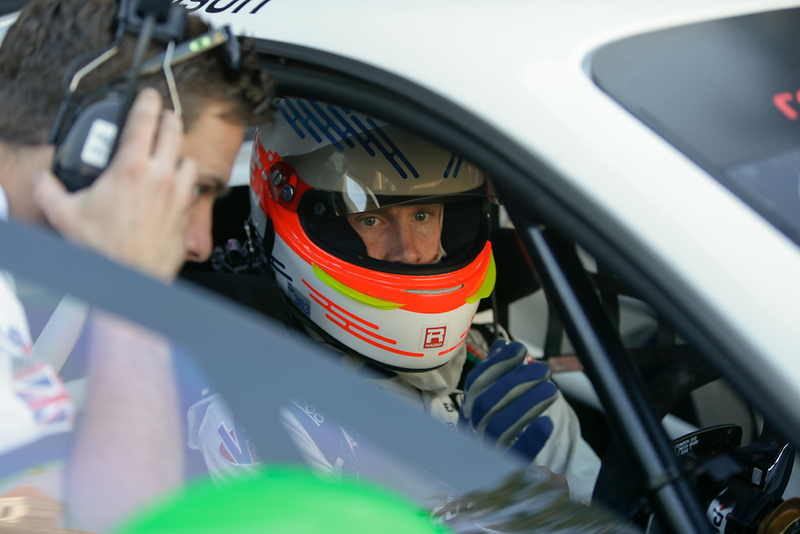 Michael White, Team Manager – “2014 was a great start to the Bentley GT3 program. Despite coming together halfway through the season, from the start we’ve set fast laps, won pole positions and at the end season won a race. Rob Dyson, Team Principal – “The season was a challenge in all good respects for us. It was learning not only a new car and a new configuration of car – GT vs. the prototypes we have raced in the past – plus we had to learn a new series and its protocols. Overall it was a challenge, but one we have met as the cars showed more pace each race culminating with our win at Miller. “The working relationship we have with Bentley continues to grow stronger, from the top to the bottom and at all levels. The relationship we have with M-Sport, which built the cars and did the initial development, continues to grow stronger. That is probably the most rewarding part of this season – the unity of purpose that we all have behind this impressive racing effort we are all putting together. 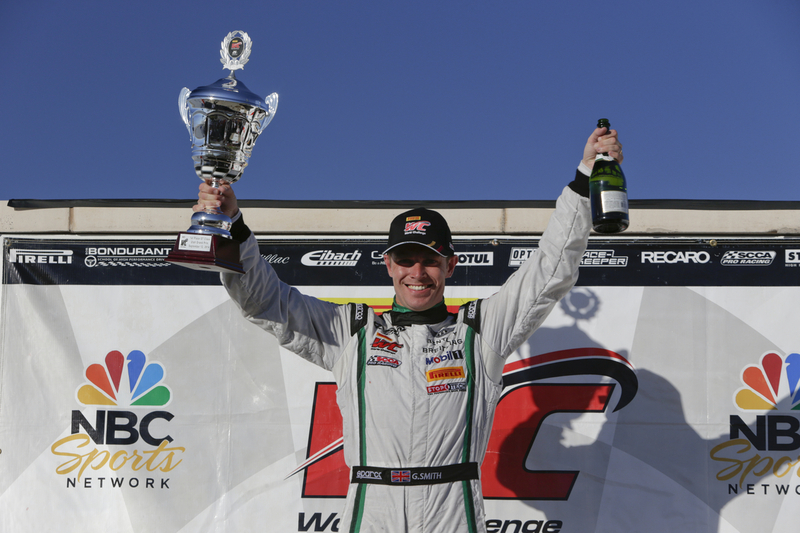 Guy Smith, Driver of the #88 Bentley Continental GT3 – “The Pirelli World Challenge has been an excellent choice for Dyson Racing Team Bentley to compete. The great thing about GT racing is the performance of the cars is so balanced and the racing is so close. 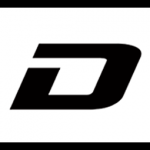 You have so many manufacturers – including Bentley, Audi, Porsche, McLaren, Ferrari, Cadillac and others – and yet all of them are competitive. That’s what makes GT racing so exciting, from both the drivers’ and fans’ points of view. I think it is a great championship and going forward it will only get better. 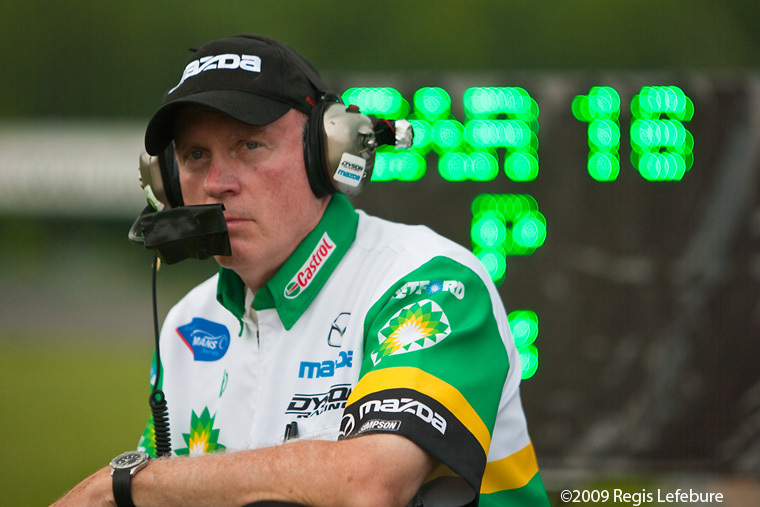 Butch Leitzinger, Driver of the #08 Bentley Continental GT3 – “It has been very enjoyable and challenging season. It has been so much fun jumping into the Bentley because the car was so good from the beginning and I was able to get back with all my old Dyson friends and go racing again. We started mid-season, but we were right in the thick of things at our first race at Elkhart Lake and since then we have learned more and more. It has been a great series to be in with really furious action, which is quite fun. The driving level is good and people are tough but fair, so you are able to really joust with them and enjoy the racing. In some ways the sprint format is a purer form of racing as you just go out and drive as hard as you can. I think I have passed more cars in this half season than I did in the prior fifteen years! Chris Dyson, Vice President and Sporting Director – “This has been a very positive season. I think everyone from Bentley and M-Sport and the Dyson team has worked very well together and Butch and Guy have been brilliant in the cars. When you look at the progress in the past five race weekends relative to the established competition, it has been very gratifying. The team has jelled well and we are working very closely with Bentley in making the events very memorable for their guests and customers. I am thrilled to be involved with such a wonderful organization as Bentley.